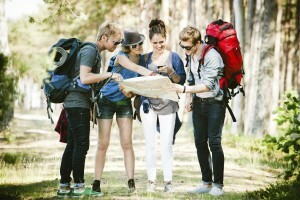 From the perspectives of a youth travel blogger, volunteer programme organiser, accommodation provider, youth tour operator and youth travel agent we offer a look into the age of youth travel and decipher if youth travel is getting younger, or is it just a state of mind? 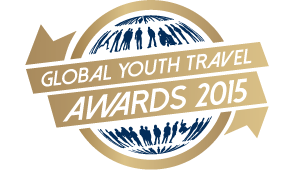 We spoke to some of the winners of the 2015 Global Youth Travel Awards and while some felt that an increased number of younger people are travelling independently compared to prior years, others believe that more youth travel activities such as volunteering and cultural exchange programmes – as well as youthful ways of travelling such as backpacking and couch surfing – are also being adopted by older generations. “Independent travel allows students to learn more about themselves and the world. Rustic Pathways programs provide students with the structure and support to learn and grow, while giving them the ability to explore, ask questions, and fully immerse themselves in a different culture. Our programs, and our local staff members, provide them with a rich, authentic travel experience, incomparable to most family vacation trips. Aileen Adalid from I am Aileen, winner of the Best Youth Blogger award agrees but adds that while youth travel is on the increase, in her opinion there is also a steady rise of older people slowly adopting youth-like adventures such as backpacking, homestays, house sitting or home exchanges. Danielle Dougan, Public Relations manager at StudentUniverse, winner in this year’s Best Youth Travel Agent category, says that in order for youth travel agencies to stand out they should keep up with the mobile demand of this younger generation of customers and ensure that marketing and communication strategies are adapted to meet their needs. “We know that Gen Z-ers relate best to quick, “snackable content,” including interactive infographics, videos, photos and travel memes. Visual communication will work best when communicating with a generation that’s attention is hard to garner, and hold,” she says. A noticeable challenge not only affecting youth travel but the tourism industry in general is safety and security. Richard Nimmo, Managing Director at Blue Adventures, winner of the Outstanding Volunteer Project award says that Security risks and threats are likely to be an issue in 2016. “The Blue Adventures team will support its travellers with accurate and appropriate information as well as maintain good procedure and policies to assess and respond to risks. I also hope that during the course of 2016 and beyond, tourism will focus more on benefits to receiving countries and host communities,” he says. Over the coming weeks we will be featuring interviews with a selection of the 2015 winners for further insight and views on the industry and the outlook for the coming year.